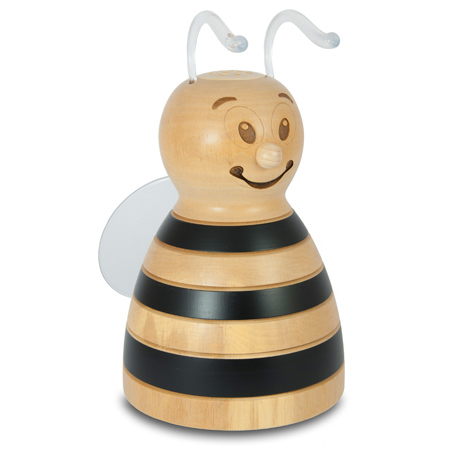 Our cute honeybee-shaped propolis diffuser Propolina protects your little ones, filling the air in their rooms with the the beneficial properties of propolis whilst they sleep. 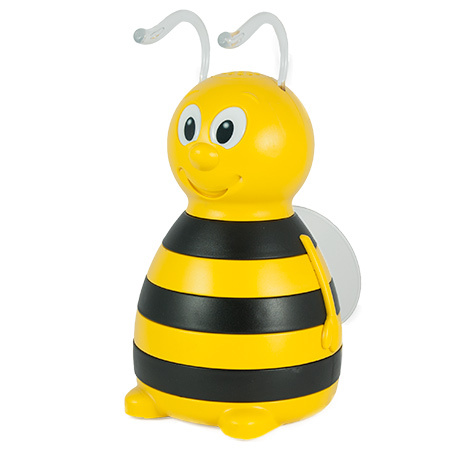 Your kids will just love the warm and cosy glow of Propolinas antennae. Propolina is now available in a wooden design, a even more natural way to enjoy the beneficial properties of propolis. Made of Italian wood and water-based paint to meet the needs of consumers who are increasingly eco-conscious. The wooden basic model P3 has the same functionality of P1. The wooden model with ionizer P4 has the same performances of P2. The diffusers with ionizers are recommended for kids ages 3+. All PROPOLINA models cover an area of up to 30 square meters.